2. Development environment and tools. This should be quite simple, but in our experience, this is one of the most underestimated areas when it comes to FIORI development. First of all, an Architect who understands how all the parts of FIORI will sit together and more importantly can figure out, at the very least, what does current infrastructure lacks. FIORI is a front end and it can be modified in a Java environment, period. At the minimum, what that means is you will need a resource who has Java Script and JQuery experience. You will also need an ABAP resource to work on Odata and backend queries and logic. On the process side, you will need a cross-functional resource that can design and configure a business process. Last but not the least, a terrific business resource, who is willing to explain the quirks and requirements will be very helpful. Don’t forget that there will be a lot of components that will need to installed before you can get FIORI going, so my advice is to have some basis time allocated on the project too. Along with basis, you will need networking gurus to figure out issue/s when accessing FIORI URL. I will walk you through an example to make it clearer. 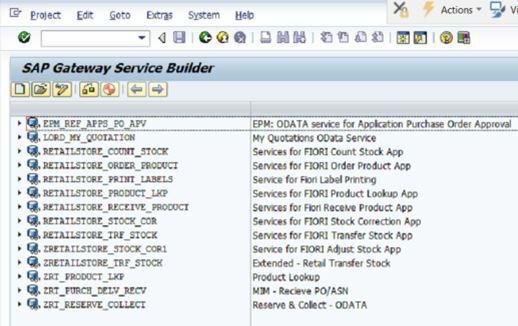 Let’s say you plan to implement 2 business processes (apps) in FIORI. For a moderately complex implementation, it shall take about 3 months with first month for setting up the environment etc. Here is a quick break up, though I will provide details in next blog in this series with a detailed project plan. Architect. On and off, but a lot more time required in the beginning. Now that you know that what skill sets are required, let’s talk about development environment. For the most part backend and Odata development is done in ECC, whereas Front end UI is developed either in WebIDE or Eclipse. 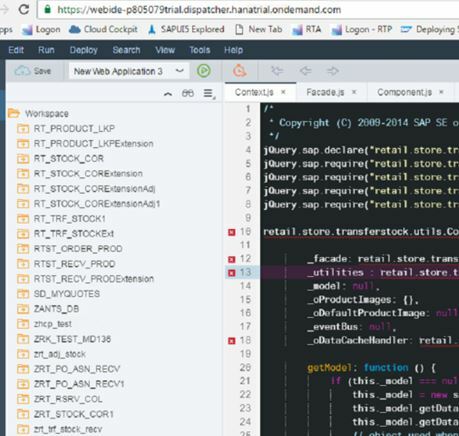 Web IDE publishes the UI5 application to ECC using HANA cloud connector (HCC). Odata is accessed using transaction SEGW in ECC. Any modification to Odata should be done here. Here’s a depiction of what we had for the development environment. Also, please note that no basis resource to set up development environment is required for this since all this resides on your PC/laptop. Here are the steps you need to go through to install WebIDE. SAP WEBIDE should be installed on your laptop. You will need admin access to your machine and access to internet to get it working. 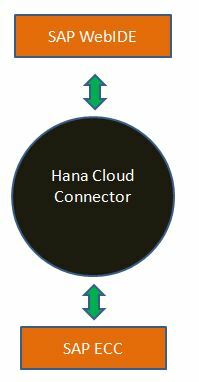 WEBIDE should be connected to HANA Cloud connector. 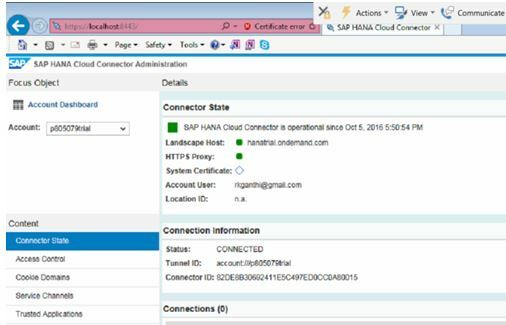 In HCC, you will enter the details of your SAP environment and your log-in and password. 6. Once you are logged in, you shall see all UI5 objects that are available. At this stage of our discussion FIORI components are installed and development environment is set up. Thanks for your blog series. Did you install personal edition of WebIDE on your computer? In your screenshots, I could see trial version of WebIDE from cloud platform. I believe there was personal edition of WebIDE sometime ago, But now it is discontinued of sort. could you please clarify. Yes we installed webIDE on our laptops. Go ahead and install trial version if your needs are not long term. It should suffice. Vivek Sharma: FIORI is a front end and it can be modified in a Java environment, period. At the minimum, what that means is you will need a resource who has Java Script and JQuery experience. Why do you think this needs to be changed? Does your experience says otherwise? Have you tried changing the layout of the screen or adding new fields, creating new filters, adding pictures etc. ?